At Innisbrook Golf Resort, you'll find a combination of comfort, convenience and familiarity in a southern way of living. This condominium resort is set on 900 acres in Palm Harbor, minutes from Clearwater beaches and Tarpon Springs. Innisbrook, A Salamander Golf and Spa Resort, on the PGA Tour's Valspar Championship presented by BB&T, offers 4 championship golf courses as well as 6 pools, a fitness center, children's recreation center, and a complimentary beach shuttle. 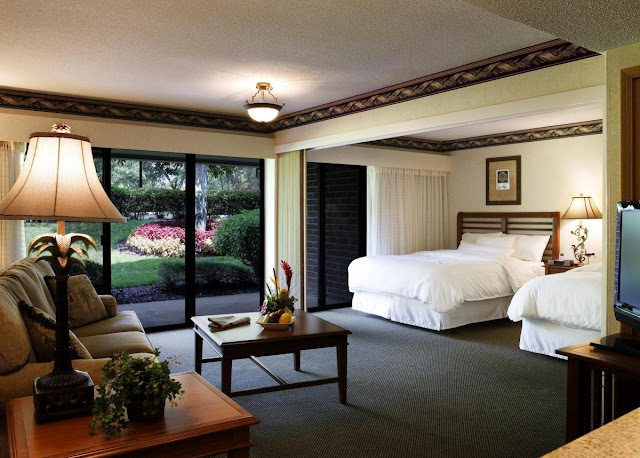 Thoughtfully arranged in small clusters that blend into the natural setting, accommodations at Guestrooms at Innisbrook, A Salamander Golf and Spa Resort provide golf course or lawn views.The low-rise lodges take full advantage of Innisbrook’s 900 wooded acres.